Posted on April 27, 2015	by Lotus Direkthilfe e.V. “Tashi Delek! Drubwang Sanggye Nyenpa Rinpoche is in Bhutan and very fine. 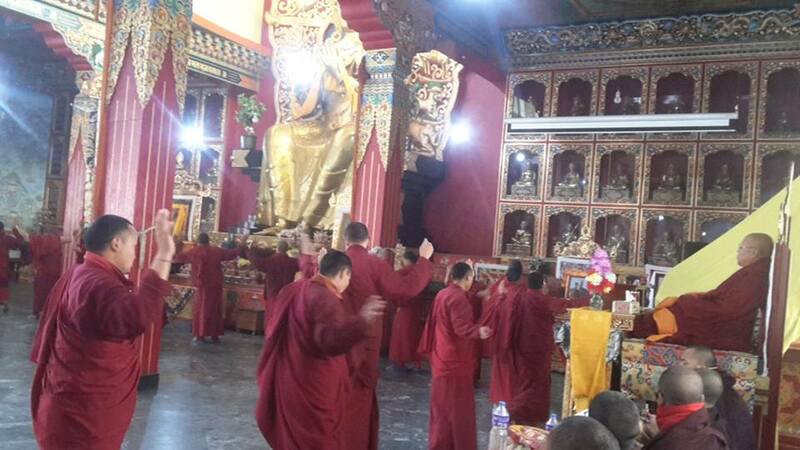 Rinpoche sent a message to the Benchen community along with his prayers. All of us should help whomever is in need in whichever way we can (on the picture you can see Tashi Özer and other monks listenig to the message). As you can see there is structural damage in the monastery. The monks are sleeping outside in provisional tents. There is neither electricity and not enough water. Despite that our monks are serving free hot tea to thousands of the local community and are helping wherever they can. Please lend your support by sending a donation with the reference “Erdbeben”! Posted on February 8, 2015	by Lotus Direkthilfe e.V. Under the guidance of H.E. Sangye Nyenpa Rinpoche the Benchen monks in Kathmandu are preparing for the yearly Mahakala dances that are traditionally performed at the end of Tibetan Year. From February 8th till the New Year’s celebrations on February 18th the rituals will take place with the intention to destroy all the obstacles acumulated during the whole year and bring about peace and happiness in the new year to all the beings around the world. 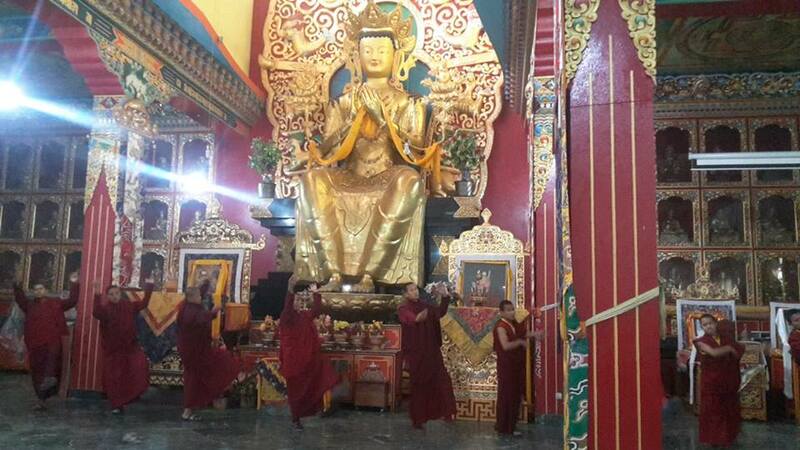 Photos by Tashi Oser of Benchen monastery. On May 23rd 2012 the precious Kudung of the Lord of Refuge Kyabje Tenga Rinpoche has been ceremonially cremated at Benchen Phuntsok Darjeling monastery in Kathmandu, Nepal. This short video material shows the opening of the Phur Khang (cremation stupa) on May 31st in search for Rinpoche’s precious remains. Since the foundation of Benchen Phuntsok Darjeling monastery in Kathmandu in 1984/85 Kyabje Tenga Rinpoche used to invite the nuns from the Panshing monastery (Gelugpa lineage) once a year to perform a Tara ritual. The nuns also came regularly to pay respect to Drubwang Sangye Nyenpa Rinpoche and Kyabje Tenga Rinpoche on different occasions, like Losar etc. 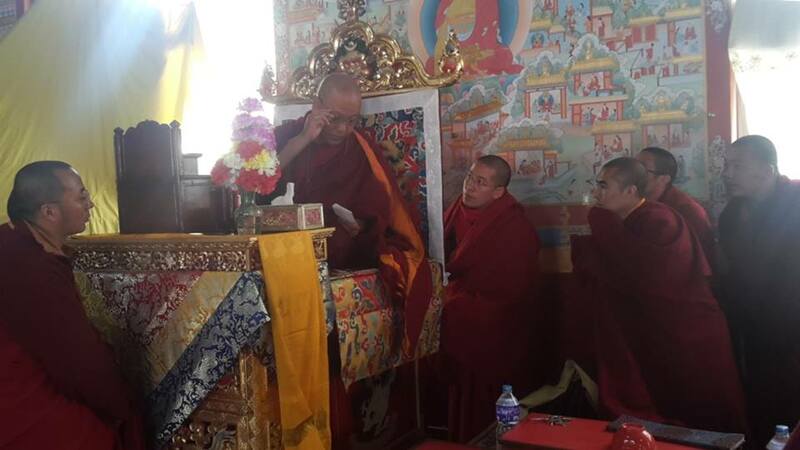 Today, on this auspicious Dakini day, the nuns from Panshing monastery visited Benchen Phuntsok Darjeling again performing White Tara and Naljorma rituals for the long life of Drubwang Sangye Nyenpa Rinpoche and swift rebirth of Kyabje Tenga Rinpoche respectively. 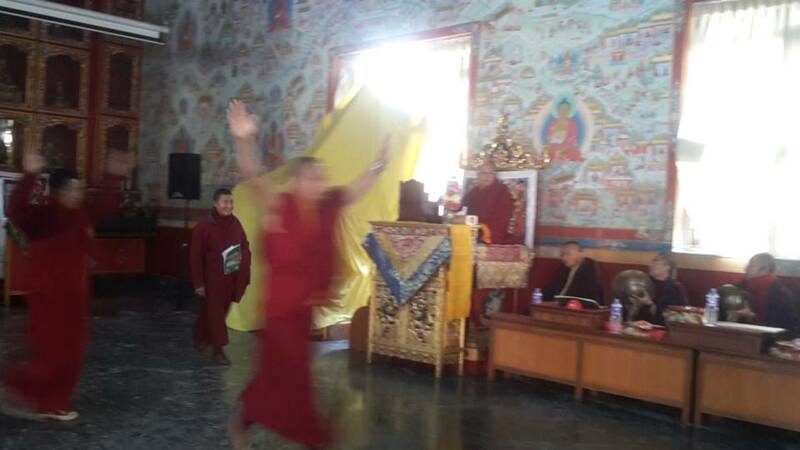 It was a joyous and powerful event clearing away the obstacles and bringing the benefit to all the beings. From May 10th until May 12th the sand mandala of the Kalachakra deity has been created by the lamas of Benchen Phuntsok Darjeling monastery in Kathmandu, Nepal. This short video material documents briefly the process of mandala making – three days in three minutes. Many thanks to lama Karma Tsultrim Jungne, lama Sonam Wangda, lama Karma Döndrub, lama Gyurme Phuntsok, Lama Söpa Gyatso, lama Tempa Yeshe, lama Tsultrim Tendar and all the other lamas involved.